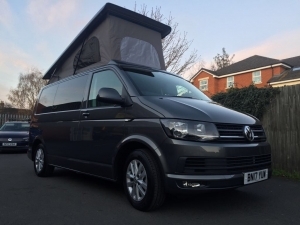 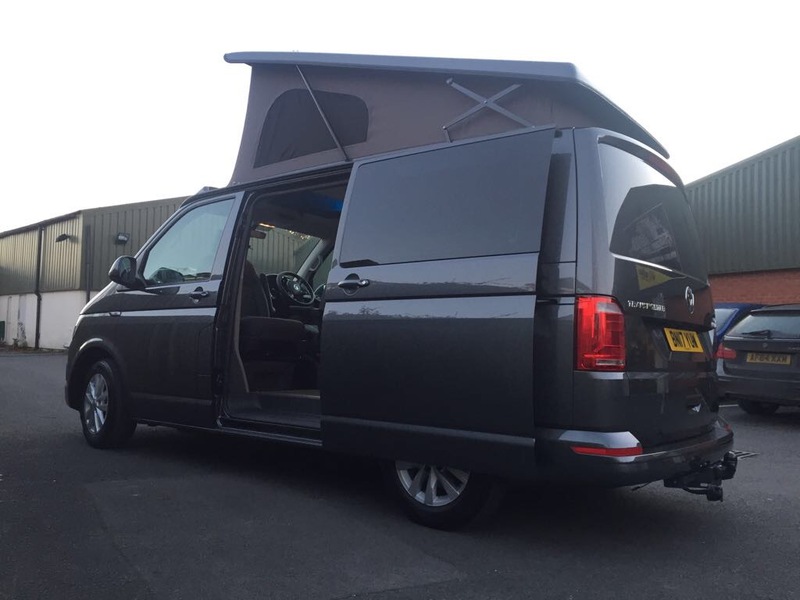 T6 T28 SWB Highline in Indium Grey fitted with Reimo Easy fit elevating roof and roof bed. 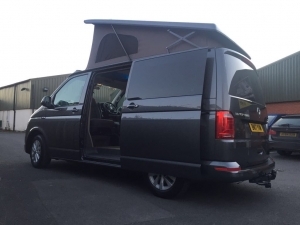 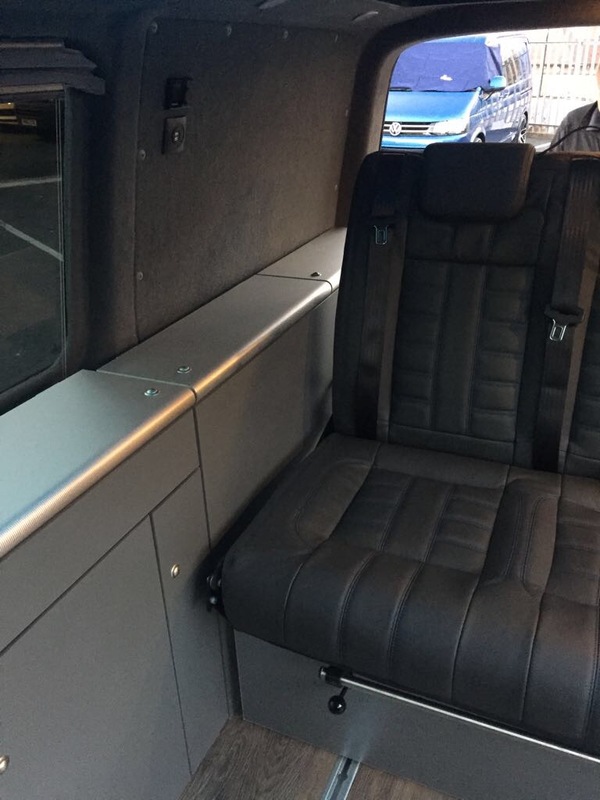 Reimo Vario Tech seat , seat bed with full leather retrim in Charcoal Grey. 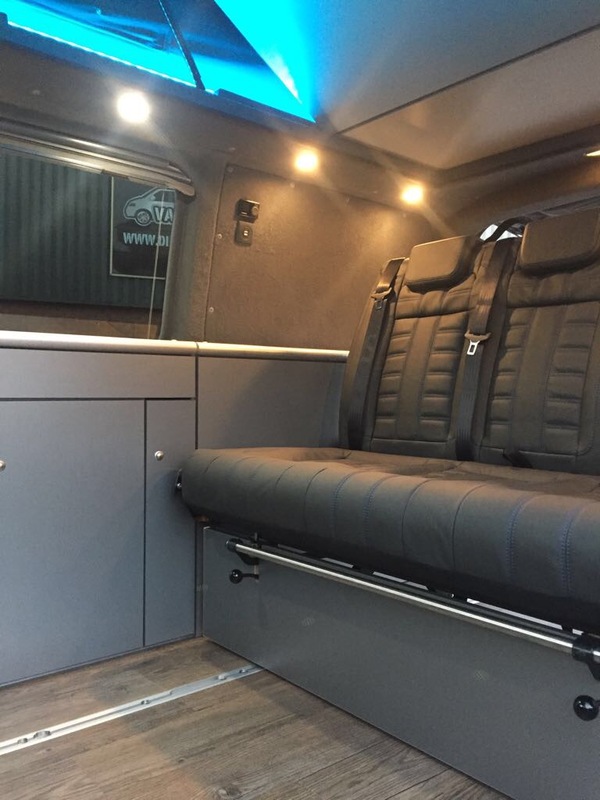 Reimo City Van furniture kit, flooring covered with kardean in Ignea. To finish off Alan and Marie opted for the Reimo Multi Rail, H & R Suspension Kit with 40 mm drop and H & R Anti Roll Bars on front and rear. 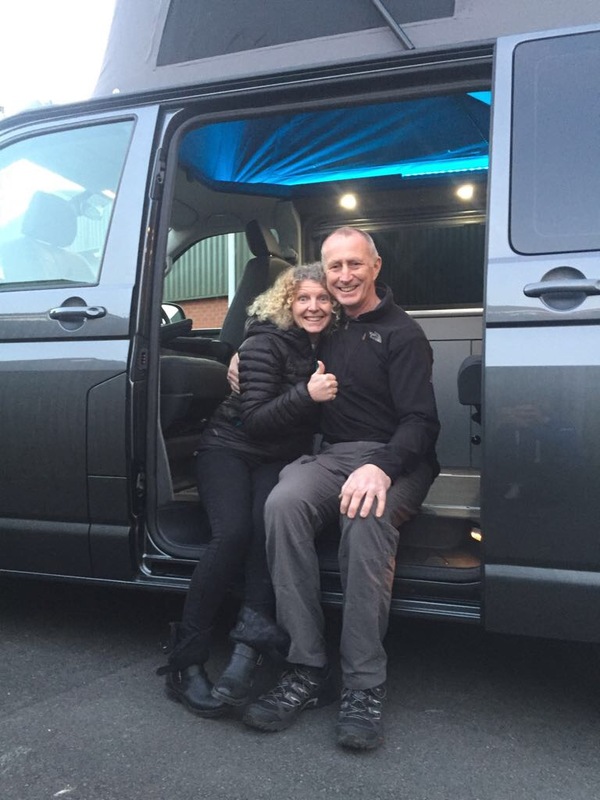 Many Happy Travels to you both!